Item # 307519 Stash Points: 4,995 (?) This is the number of points you get in The Zumiez Stash for purchasing this item. Stash points are redeemable for exclusive rewards only available to Zumiez Stash members. To redeem your points check out the rewards catalog on thestash.zumiez.com. 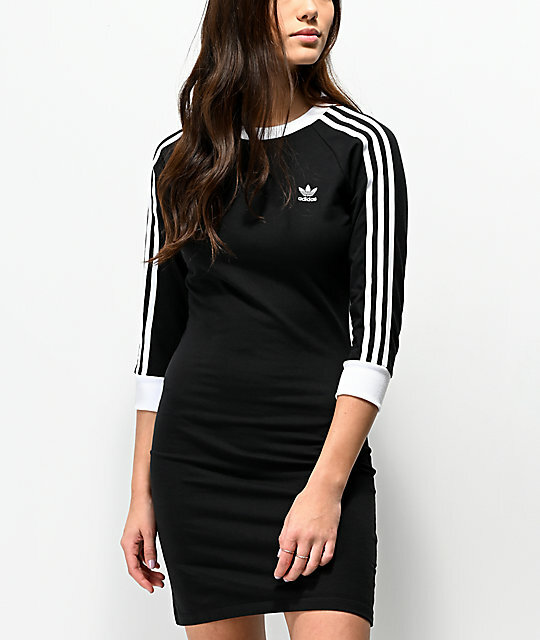 Grab a sporty, yet feminine look in the 3 Stripes Black Long Sleeve Dress from adidas. 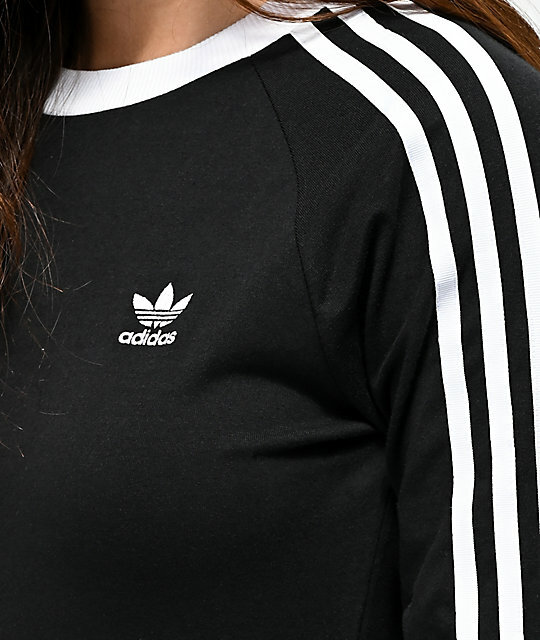 This slim fitting black t-shirt dress features long sleeves with adidas' signature white stripes sewn on, and contrasting white ribbed knit sleeve cuffs and crew neck color. 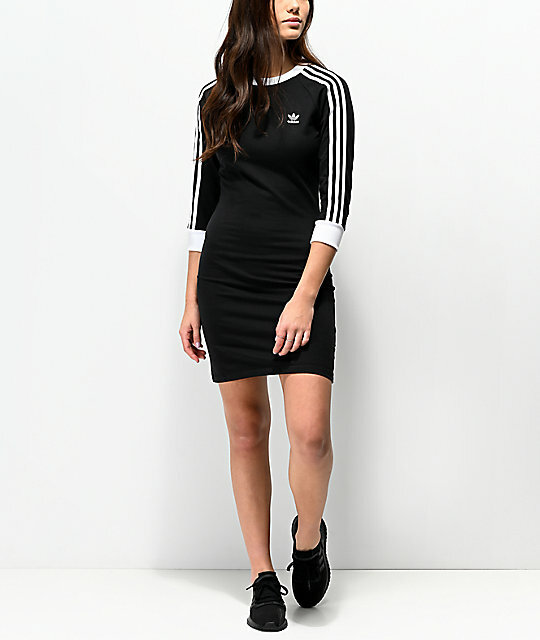 With a mid-thigh length and simple design, the 3 Stripes Black Long Sleeve Dress from adidas is a must-have addition to your everyday looks. 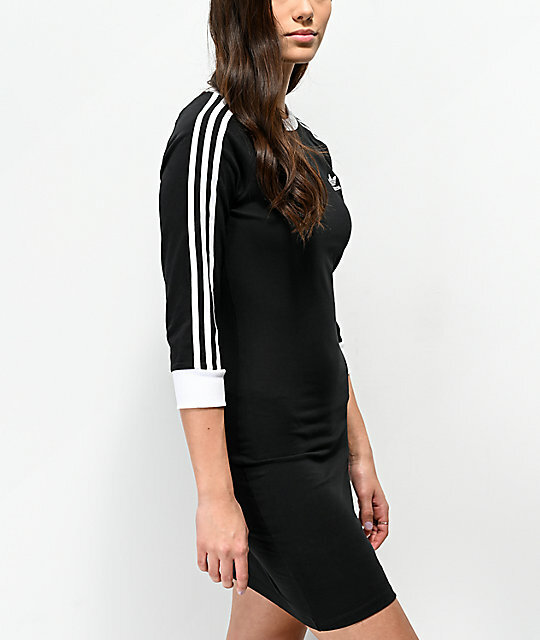 3 Stripes Black Long Sleeve Dress from adidas. Contrast ribbed knit crew neck collar & sleeve cuffs. Embroidered Trefoil logo at the left chest. Long sleeve T-shirt dress silhouette with mid-thigh length.